A free-spirited story of life, love, and sisterhood, for anyone who’s dreamed of hitting the road in search of a new start…the perfect escape for fans of Lucy Diamond, Jill Mansell, and Jennifer Weiner. Stunned by a life-changing secret and an unexpected inheritance, Cady Morrow leaves her responsible London life behind and hits the California flash mob trail. With her wild twin sister Shelby in tow, she’s determined to make every day of her new start count. So when they’re invited to travel on the flash mob team’s luxury tour bus – in close company with Reid, a man who sets her dangerously, deliciously off-kilter – Cady grabs the chance to be a different version of herself. But uncovered secrets soon test her faith in her reinvented self, as well as in those around her. And when the flash mob implodes and Shelby goes missing, Cady has to rely on the enigmatic Reid for help – even as she doubts his motives, and her resistance to his teasing charm. 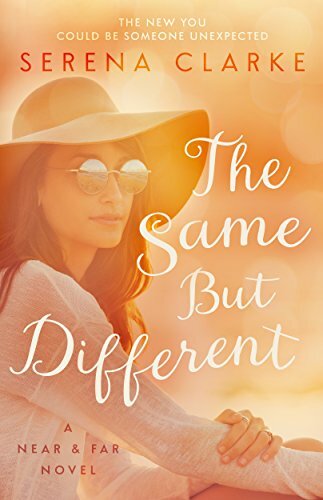 Torn between two lives, she eventually learns just how different she can really be…and exactly what she’ll do for the sake of a new start.